The Azure Golden Sands Resort & Spa is a unique slice of paradise on the heavenly Maltese Islands, which are located in the heart of the Mediterranean Sea. The Maltese Islands comprise Malta, Gozo, Comino and a scattering of smaller islets. Within a total area of just 312 square kilometres, the islands possess an astonishing wealth of history and culture. Just to mention a few highlights, its prehistoric monuments are the oldest free standing structures in the world; the entire capital city of Valletta is a UNESCO world heritage site; and the Maltese culture derives from a blend of Arabic and European influences stemming from various occupations at different times. Yet Malta has its own, very unique personality, as does Gozo, the only other inhabited island. And while what is quintessentially Maltese remains, the island of Malta has become the cosmopolitan home to expats from all over the world, adding even more colour to an already very colourful society. Tiny as they are, the Maltese islands will never cease to surprise you. You may just fall in love with their intrigue, which will lure you back again and again and again. A 17th century watch tower keeps sentinel over the bay. The Gaia Foundation NGO runs a nursery at the top of the hill overlooking the beach, which you can visit. What’s more, the Majjistral National Park is right on your doorstep. 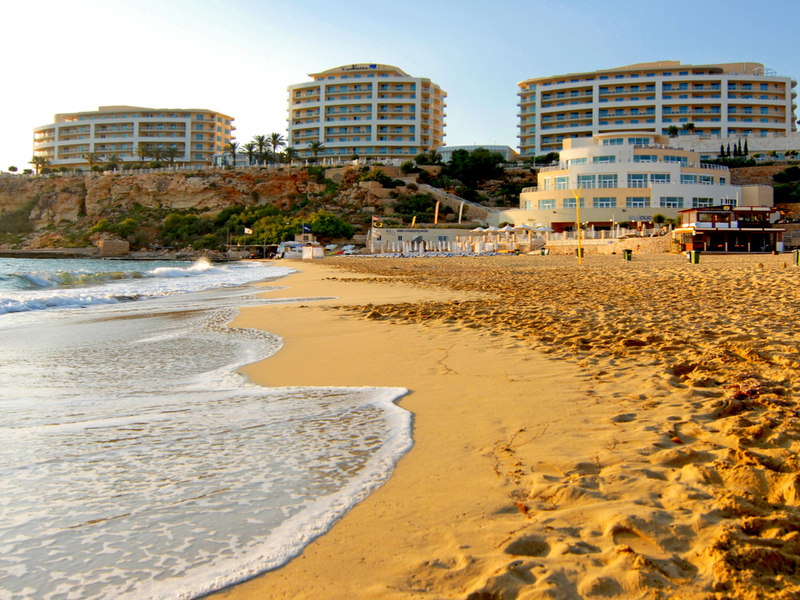 Mellieha, the northern district of Malta, is also home to most of the island’s sandy beaches, many of which offer a wide variety of water sports. Why not explore the surrounding area on a horse? The Golden Bay horse riding school is less than 5 minutes’ walk from the resort. This more pristine part of the island is a Mediterranean haven that’s nonetheless just 20 km from the capital city Valletta and the Malta International Airport.